Extremely nice, move-in ready, like new ranch. Home features 3 bed, 2 bath, walk-in closet, utility/mud room, conveniently located near WK Pkwy, hospital, schools, restaurants, shopping. Pride of ownership definitely shows in this home. Direction: 259 N. left on Bloomington Rd. Left on Town View Ln. Property on left. 180 Town View Ln, Leitchfield KY 42754 is a Home, with 3 bedrooms which is recently sold, it has 1,200 sqft, 0 sized lot, and 1 Car Garage,Attached parking. A comparable Home, has 3 bedrooms and 1.5 baths, it was built in and is located at 300 Spring St Leitchfield KY 42754 and for sale by its owner at $ 95,900. 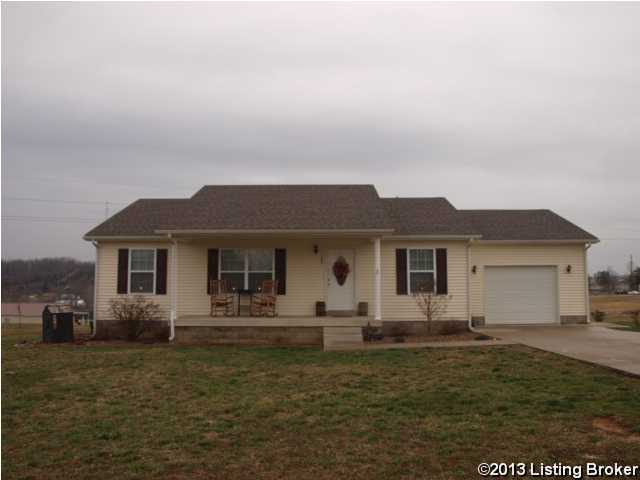 This home is located in the city of Leitchfield , in zip code 42754, this Grayson County Home, it is in the NONE Subdivision, and QUAIL RUN are nearby neighborhoods.